San Nicola Arcella is a municipality in the province of Cosenza, Calabria, on a 110-meter high cliff edge with a spectacular view on the Gulf of Policastro. Its position on a hill by the sea guarantees a favourable climate with cool summer and not-too-cold winters. Its coast is mainly rocky with inlets set in the rocks. Its territory is covered in cedar trees: that is why San Nicola Arcella is the place where the Riviera dei Cedri begins. On the border with Scalea there is Capo Scalea, a promontory characterized by granite blocks on the edge of the cliff; from here, it is possible to admire the calabrian coast, the lucanian coast and the coast of Campania. San Nicola Arcella is covered in olive trees and typical plants of the medierranean scrub (like the primrose of Palinuro, with yellow/golden corollas). The historical centre is made of paved alleys that reach the Chiesa Matrice. 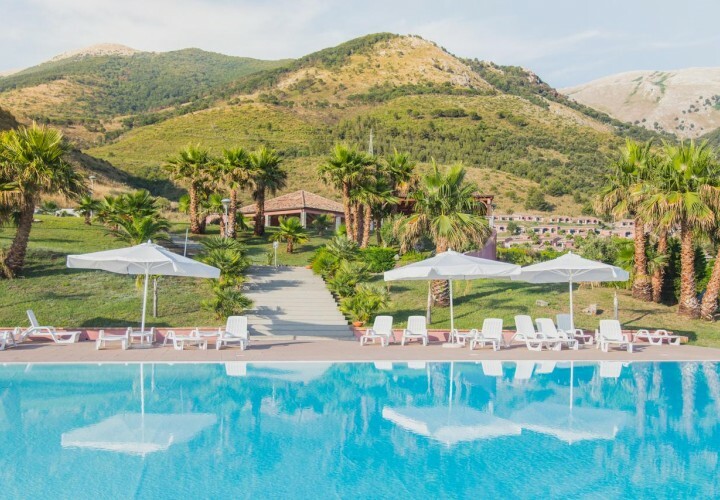 San Nicola Arcella became a tourist locality only in recent times, with high-quality accommodation facilities located in a wonderful natural landscape.